Quick summary: This lesson forms part of a Design Thinking Unit in which students identify waste issues in the world, build an understanding of how waste has an impact in their own community, work to find and prototype a solution, then take action in their community that addresses the issue of waste. 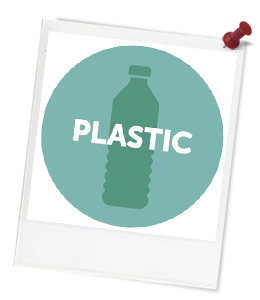 In this lesson, students will share findings relating to the community’s experiences with waste and recycling. They will present data and information as graphs and tables, as well as summarising it into a visual organiser to represent what members of the community see, do, think and feel. They then consider this information to generate ideas about how recycling practices could be improved. Students will be able to identify and define waste-related issues based on data collected. Students will be able to develop solutions to problems identified within their community. Students will understand how to plan and take action in their community. Pose questions and collect categorical or numerical data by observation or survey (ACMSP118). Construct displays, including column graphs, dot plots and tables, appropriate for data type, with and without the use of digital technologies (ACMSP119). Describe and interpret different data sets in context (ACMSP120). Interpret and compare a range of data displays, including side-by-side column graphs for two categorical variables (ACMSP147). Critique needs or opportunities for designing, and investigate materials, components, tools, equipment and processes to achieve intended designed solutions (ACTDEP024). General capabilities: Literacy, Numeracy, Personal and Social Capability, Critical and Creative Thinking, Ethical Understanding. Relevant parts of Year 5 Mathematics Achievement Standards: Students interpret different data sets. Students pose questions to gather data, and construct data displays appropriate for the data. Relevant parts of Year 6 Mathematics Achievement Standards: Students interpret and compare a variety of data displays including those displays for two categorical variables. They interpret secondary data displayed in the media. Relevant parts of Year 5 & 6 Design and Technologies Achievement Standards: Students generate and record design ideas for specified audiences using appropriate technical terms, and graphical and non-graphical representation techniques including algorithms. They plan, design, test, modify and create digital solutions that meet intended purposes including user interfaces and a visual program. Students plan and document processes and resources and safely produce designed solutions for each of the prescribed technologies contexts. They negotiate criteria for success, including sustainability considerations, and use these to judge the suitability of their ideas, solutions and processes. Students use ethical, social and technical protocols when collaborating, and creating and communicating ideas, information and solutions face-to-face and online. Unit of work: Bright Sparks – Using Design Thinking to Solve Problems – Year 5 & 6. 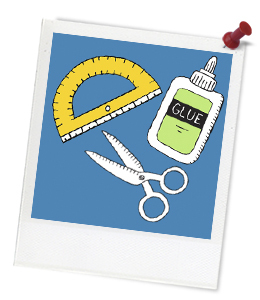 Basic craft materials, including white and coloured paper, pencils, markers, sticky tape, glue and scissors. Blu-Tac to display completed posters, or pins if placing posters on display boards. Gripes posters, retained from the Discovering the Waste Problem lesson. Learning intentions and success criteria (optional). Keywords: data, graphs, surveys, sustainability, recycling, change, ideas, action, project. Students can share and explain data and information they have collected. Students can identify problems/concerns based on data and information. Students can suggest ideas for solutions to problems identified. Students can negotiate and develop ideas through discussions with peers. Students can work in a group to plan and take action in the community.